I can't tell you how perfect this is. 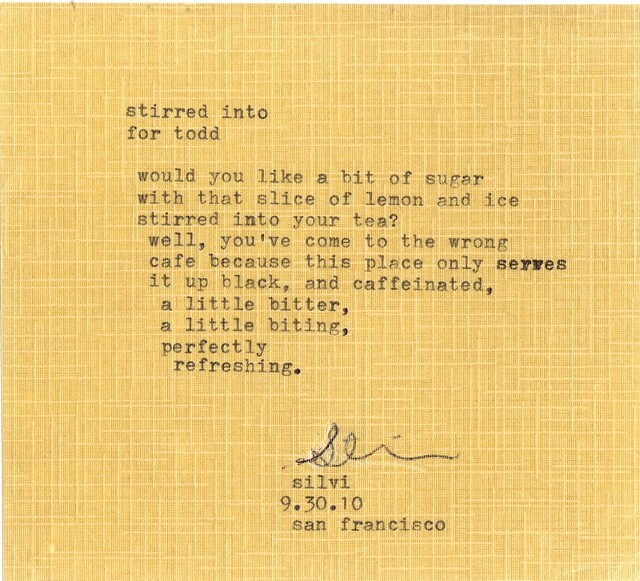 Or how amazing Silvi Alcivar and her Poetry Store is. Go there now, buy a poem or request one, and then show it to the world. Nice! I like the paper, or fabric, it's printed on. It's paper chosen by Silvi. I can't wait to find a frame for it.